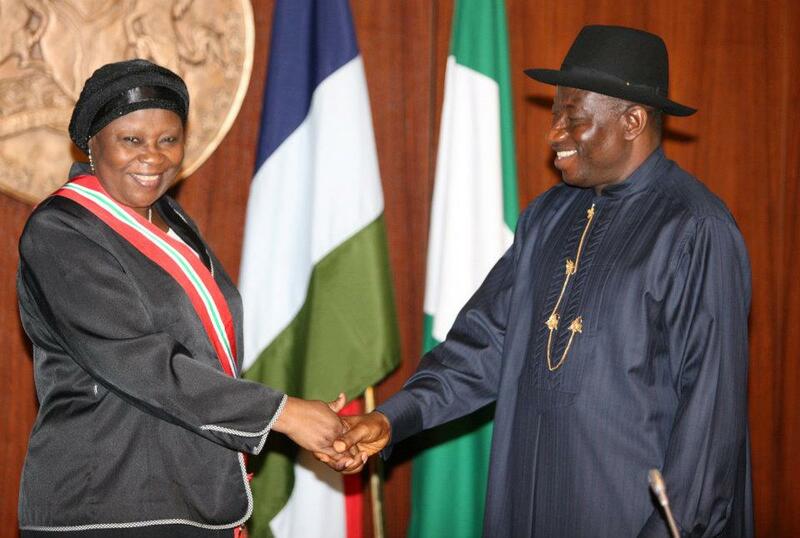 On 16 July 2012 Honourable Justice Mariam Aloma Mukhtar was sworn in as Nigeria’s very first female head of the judiciary, the Chief Justice of Nigeria (CJN). She became Nigeria’s 13th indigenous CJN after her confirmation by the Senate, replacing her predecessor, Honourable Justice Dahiru Musdapher, who retired on 14 July. Justice Mukhtar has had a distinguished and impeccable career as a jurist and in many ways has been a pace setter for Nigerian women in general and women on the bench in particular. “Today, we are witness to history with the swearing in of Justice Aloma Mukhtar as the first female CJN. I join millions of our country men, women and youths in congratulating the Nigerian judiciary and Your Lordship as we record this important milestone in the annals of our nation’s judicial history. “She was the first female lawyer of the northern extraction, the first female High Court Judge from the north, first female second in command, Kano State judiciary, the first Nigerian female jury (sic) to be elevated to the Court of Appeal, where she served for over 17 years. “Today, she has risen to the pinnacle of her judicial career as the first female CJN in further service of our great country. My Lord, I congratulate you. Her Lordship’s achievement is an inspiration to all citizens, especially womanhood, not only in Nigeria but also in Africa and the rest of the world. Justice Mukhtar, 68, had her primary education at the St. George’s School, Zaria and also at St. Bartholomews’s school, Wusasa, also in Zaria from 1950 to 1957. She furthered her education at Rossholme School for Girls in East Brent, Somerset, England for her GCE O’ Levels in 1962 and went for further education at the Technical College, Berkshire England. Justice Aloma-Mukhtar, was called to the Nigerian Bar in 1967, a year after she was called to the English Bar. 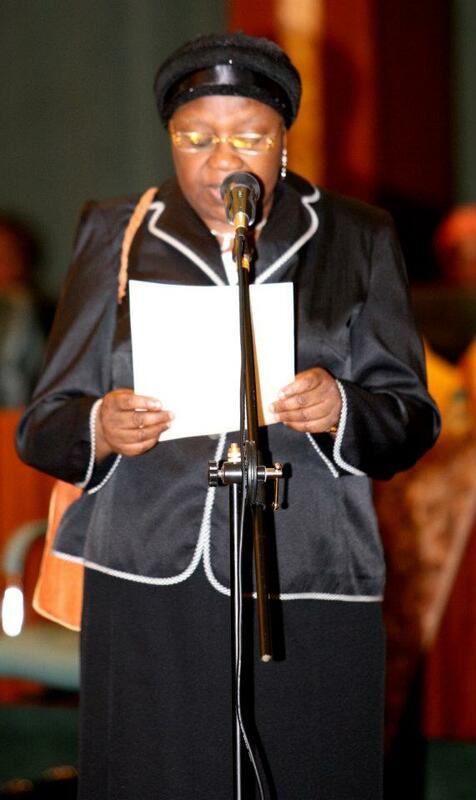 She began her legal career as a pupil counsel in the Ministry of Justice of the defunct Northern Nigeria in 1967. She was later appointed Magistrate Grade I, North Eastern Government (1969 – 1973), as the first female Magistrate in the defunct Northern region. She made another history with her appointment as the Chief Registrar, Kano State Government Judiciary (1973 – 1977) and Judge, High Court of Kano State in 1977 and Justice, Court of Appeal in 1987. 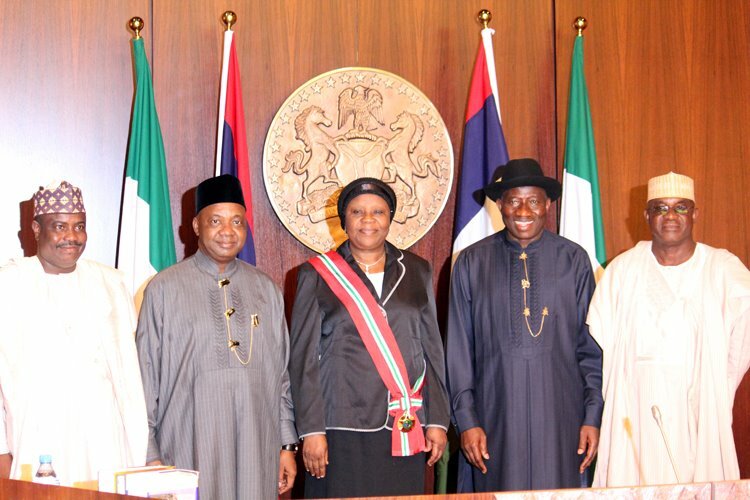 At the time of her nomination by President Jonathan as CJN, she was the most senior Justice of the Supreme Court. Justice Mukhtar has been a life Bencher since 1993 and a life member of the Federation of Women Lawyers. 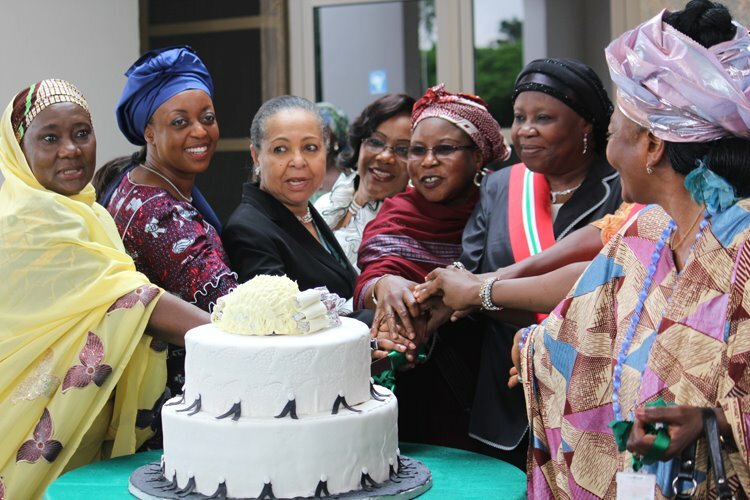 She was also the Vice President of the National Association of Women Judges of Nigeria. In 1989, Mukhtar was honoured by the Federation of Women Lawyers and in 1991; she was decorated with a Gold Merit Award by the Kano State Government. In 2003 she was again honored by the International Association of Women Lawyers, and in 2004, the Fellowship of the Nigerian Law School was conferred on her. Justice Mukhtar was on Monday 16 July 2012 conferred the Grand Commander of the Order of the Niger (GCON), by President Goodluck Jonathan, during the swearing in ceremony. Legal practitioners and colleagues described her as “independent minded”. Justice Mukhtar was one of the justices who gave a dissenting judgment that is widely acclaimed in legal circles and the academia in the Yar’Adua/Buhari election result dispute in 2007. The new CJN alongside Justices George Oguntade (rtd) and Walter Onnoghen, held that there was substantial non-compliance with the Electoral Act 2006 which vitiated the election of the late President. She takes the mantle at a time when the judiciary is in critical need of reform. Cases of corrupt judges, frivolous court injunctions, delays in trials and dispensation of justice, particularly in cases of corruption and terrorism are rife in the judiciary. Justice Aloma Mukhtar has vowed to “embark on an internal cleansing” of the judiciary. And indeed, many do not doubt her ability to do so, as she has been described as “a disciplinarian”, “motherly” and “a jurist per excellence”. Others still believe she might lead the most rigid administration in the history of the apex court, which would be greatly welcomed. Despite her achievements and impeccable career trajectory, it was gathered that there were subterranean attempts to prevent her nomination and ascension to the number 3 position in the country by several groups, especially conservative groups from her home base in Kano. That notwithstanding, Justice Mukhtar’s impeccable track record and achievements are definitely a milestone for women in Nigeria. New Dawn for African Women? Mame Madior Boye served as Prime Minister of Senegal from 2001 to 2002. In 2004, the late Kenyan activist and women’s rights advocate, Wangari Maathai became the first African woman to receive the Nobel Peace Prize for her contribution to sustainable development, democracy and peace. Liberia’s President and Nobel Laureate, Ellen Johnson Sirleaf was elected President in 2005 and assumed office in January 2006, becoming the first elected female head of state in Africa. She was re-elected in 2011. In 2011, two African women — the Liberian President Ellen Johnson Sirleaf and the women’s rights and peace advocate, Leymah Gbowee were awarded the Nobel Peace Prize. In April 2012, Joyce Hilda Banda the then estranged Vice President to the late Malawian President Bingu Wa Mutharika, became President after he passed away. In April 2012, the Nigerian Finance Minister and Coordinating Minister for the Economy, Dr. Ngozi Okonjo Iweala became the first African woman to contest for the position of World Bank President. Though she ran amidst mixed reactions back home and lost to the current President Dr. Jim Yong Kim, her running for the position remains very symbolic. On Sunday 15 July 2012, Nkosazana Dlamini-Zuma from South Africa became the first woman to hold the position of African Union Chair, after she beat the incumbent, Jean Ping of Gabon, in a closely-fought election over several rounds of voting in Addis Ababa, Ethiopia. These women are just some of the many others who are blazing the trail in the public, private and third sectors, for Sub Saharan African women, arguably some of the most marginalized and disadvantaged women in the world. The paths tread by these women have set the pace for numerous young women to follow and to aspire to greater heights.